Twitter ripped Lonzo Ball and then celebrated him after his two polar opposite performances at the NBA Summer League. 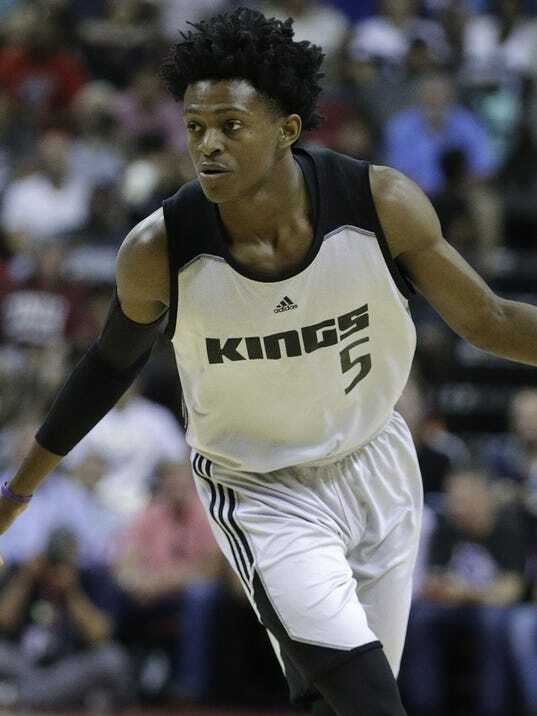 Sacramento Kings guard De’Aaron Fox was disappointed that he didn’t get to go up against Los Angeles Lakers guard Lonzo Ball, who sat out Monday’s summer league game between the two teams with a groin injury. But after the Lakers’ 95-92 win, in which Fox sat out most of the second half to address a minor right ankle injury, the former Kentucky star said he didn’t feel as though Ball was scared to face him. “No one is ducking anybody at the end of the day,” Fox told reporters. Before the game, as news spread that Ball would sit out for a matchup between two lottery pick point guards, Fox tweeted a facepalm emoji to express his frustration. The tweet has since been deleted.